How to Create a Music Visualization with Renderforest? You can't ignore the fact that music visualizations are fascinating. They add a visual component to what you hear and let you follow the rhythm of the music. With them, listening to music turns into a relaxing therapy. Besides, music visualizations are a powerful tool for connecting with your audience on an emotional level. Let us explain why music visualization is so cool. Simply because people like visual content better, than any type of content. Especially, if you combine it with music. The first electronic music visualizer was the Atari Video Music made by Robert Brown back in 1976. He wanted to create a visualization for a Hi-Fi stereo system. It was a long time ago, but music visualizations are still trendy. Renderforest offers a wide range of music visualization templates. 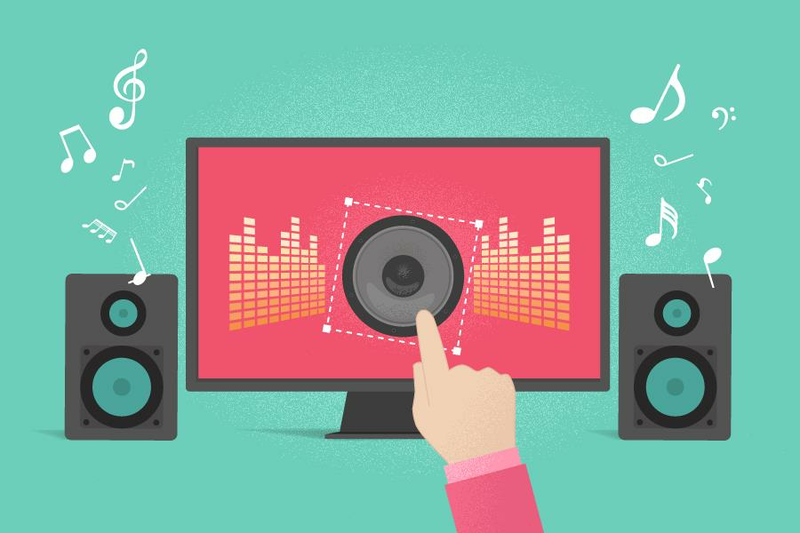 These templates do more than just visually displaying your music. They deliver the ultimate audio and visual experience. Whether it’s a song cover, a remix, or an original piece. If you want to have a captivating visualization for your music, increase your reach and engage your audience, choose one of them and start creating. How? It’s very simple. To create your amazing visualization, you need to sign up to the platform or sign in, if you already have an account. 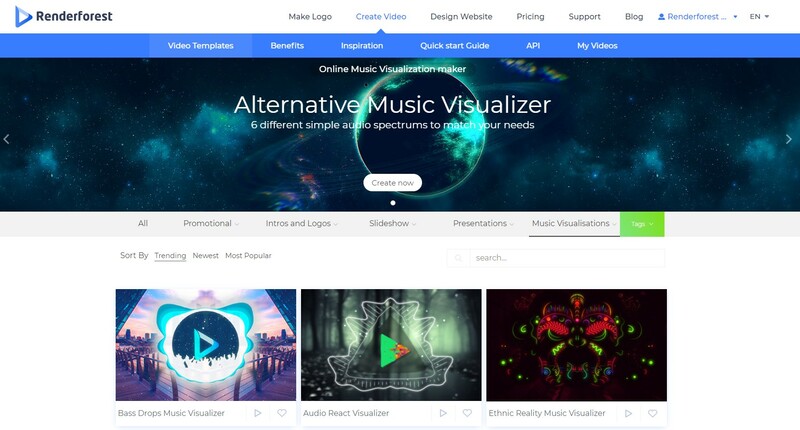 Then, choose “Music Visualisations” category on our “Video Templates” page. We have two types of music visualization templates: with texts and without. Let's choose one of them. What about the Audio React Visualizer? 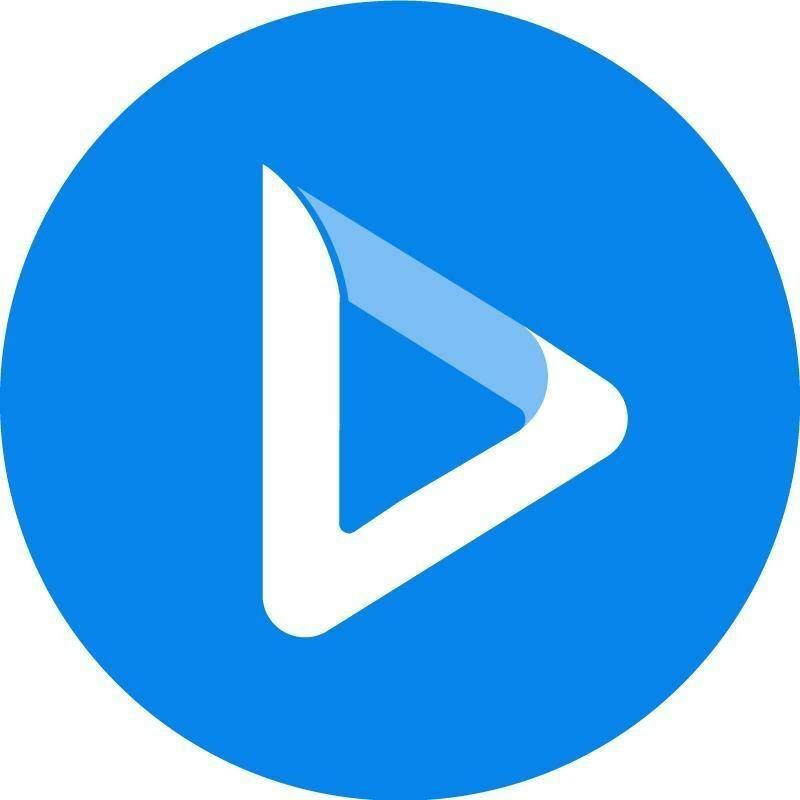 It’s perfect for promoting your music on YouTube, Vimeo or any other video platform. Let's create something amazing! Click on “Create Now” button to start. Now, it's time to choose a suitable background photo or video, upload your logo, add the author and the music names. Click on the text holder to edit the text. To add your logo, click on the image holder. You can upload your logo, or add it from the Media Library if you've already uploaded it. You can choose an image or video background for your music visualizer. Click on the holder to upload it or choose a stock video from our "Stock Footage" library. Let's choose the style of your logo! Click on “Styles” and choose the one you like the most. Go to the “Color” section to customize the color. And, finally the most important part. Upload your tracks in the “Music” section. When you have finished all the steps, simply click “Free Preview” in the “Preview” section to see how it looks. You are highly recommended to choose the option free preview before processing to the paid export. This way you can edit your project as much as you want until you are happy with the result. Your music visualization will be ready in minutes. Congratulations! Your music visualization is ready. Your created project is saved in your profile for a lifetime unless you delete it. You can edit it any time by clicking on your account and choosing “My Videos” from the drop-down menu. Enjoy your video making process with Renderforest, where the only limit is your imagination.